The Shape of a Parrot's Beak. the rock monolith and summit as seen in the saddle camp site. 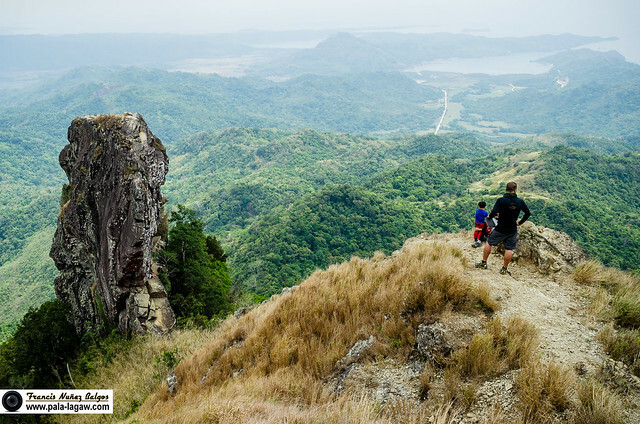 Pico de Loro (Parrot’s Beak) refers to the Centerpiece Rock Monolith summit, named by Spaniards as they look out from their Galleons in Manila Bay. 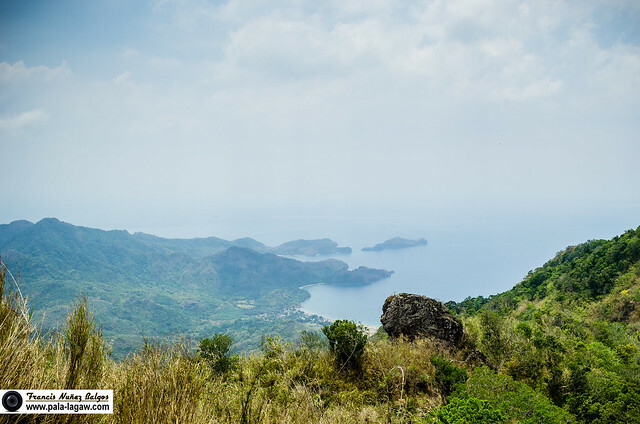 The form of a giant Parrot, Pico de Loro is part of the Mt Palay-Palay Mountain Range and traverses 2 municipalities from different provinces south of Manila which is Ternate of Cavite and Nasugbu of Batangas. 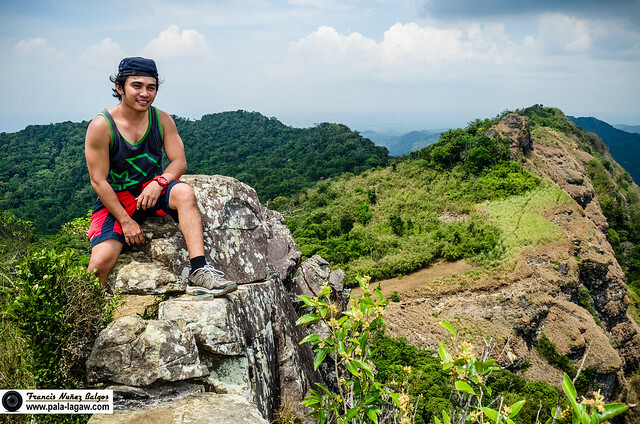 For only about 1 ½ to 2 hours away from Manila, a trek to Pico de Loro is becoming more and more popular amongst Outdoorsmen and newbie hikers for easy to fair trail. 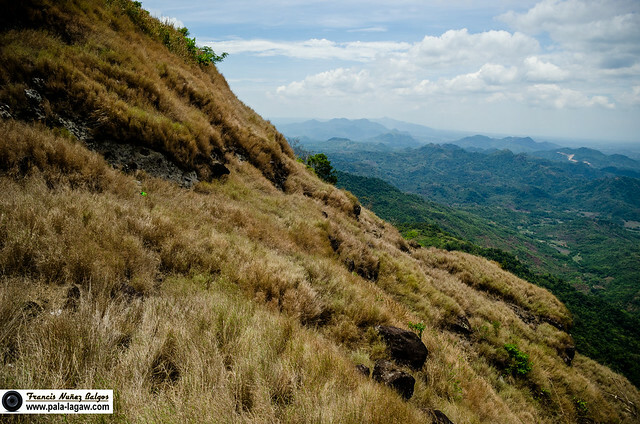 The highest peak of Palay Palay Mountain Range is at 664 MASL, considered to be the highest peak in Cavite. On a good day, the Rock Monolith can be scaled through a pass on its side, circling the rock walls with a rope and scrambling until the summit is reached, a feat for adventure seekers. 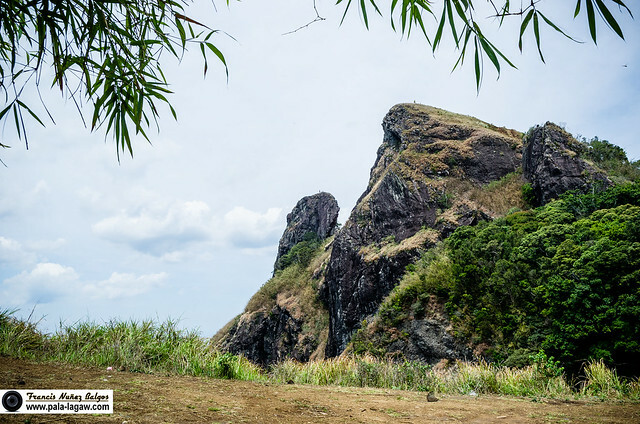 A minor fun climb, Mt Palay Palay is an easy access to any outdoor activity being that it is only bus ride away from Manila. 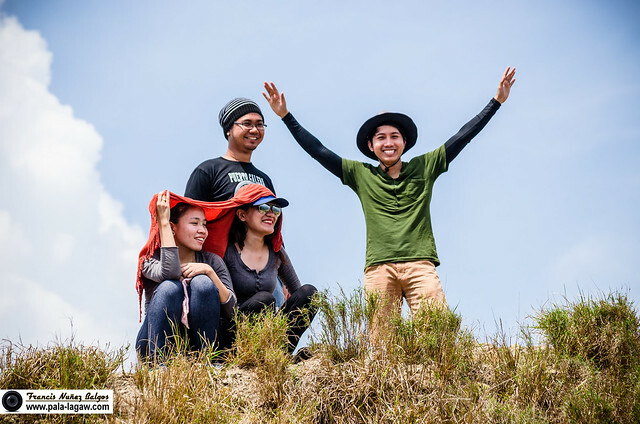 Highly recommended with the trails gradual descent, the campsite located in a ridge amidst a scattering of Bamboo’s, this mountain is also rich in flora and Fauna with some endemic animals. 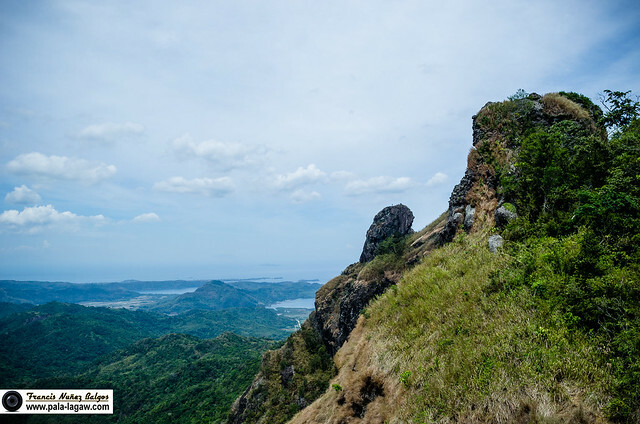 From an old trail, the east side of the summit can be seen before the lowland landscape of Hamilo Coast and Nasugbu's terrain. Parts of the summit is a grassland that turns to a sweeping field of greens or yellows depending on the season. The trail is marked with markers like this to guide hikers all the way to the summit. Mt Palay Palay is at 664 MASL, considered to be the Highest Peak in the Province of Cavite. Mt Palay Palay is a small mountain range. Pico de Loro (Parrot’s Beak) is the name of the Rock Monolith. Trail is fairly easy with gradual assault. Some parts of the trail can be steep and or covered in Bamboo foliage. One of the mountains that are becoming increasingly popular because of its close proximity to Manila. Bamboo folliage is a distinctive of the trails in Mt Palay Palay, this actually signify that you are nearing the summit. From the Saddle Camp, trekking the bare summit. Protective clothing maybe needed especially from the sun. 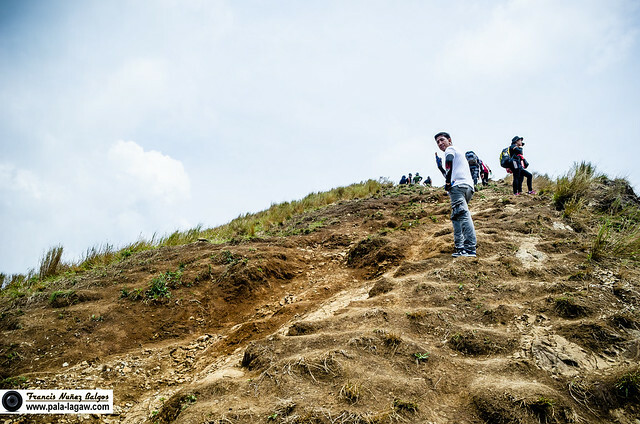 This is a very steep slope, and its difficult to trek on a sunny day, imagine on a rainy day with mud and soft clay before you. Pico de Loro Waterfalls during Rainy Season. 13 Coves of Hamilo Coast, in Nasugbu, Batangas. Kaybiang Tunnel, currently the longest tunnel in the Philippines with the length of 300 meters connecting Ternate, Cavite and Nasugbu, Batangas. Experience sunrise and sunset viewing in the Summit. Scaling the Rock Monolith Pico de Loro. One of my most daring feats; climbing and scrambling the Rock Monolith proved to be taxing for me. I think that I have tapped on all of my daring reserves. I felt very accomplished afterwards. My jump shot photographs in the summit are some that I am most proud of. Traverse to Nasugbu, Batangas is possible. From there you can take tricycle and bus back to Manila or take Tricycle to pass through the Kaybiang Tunnel back to DENR in Ternate Cavite. Guide is not a requirement unless you plan to traverse the mountain; Guides are for hire and would usually offer their service in the saddle camp site. The Rene Medina’s place is a free water source; you can stock up water here for camping purposes. You can buy trail water in the DENR office. Soda drinks, water bottles are available here but can be expensive compared to their regular price due to the effort of hauling these merchandise. Souvenir Items and shirts are also for sale in here. Soda drinks and water bottles are also available in the Saddle Camp Site, a hut was set up by locals where they sell these merchandise. These items are hauled from Nasugbu Batangas so they are also expensive. 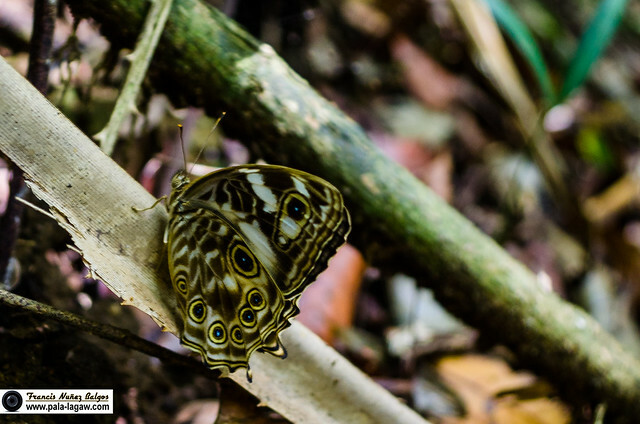 Mt Palay Palay has a diverse flora and fauna. Base on my experience, hunters set up traps for local birds and sell their captures to interested visitors. This is illegal and not to be encouraged, please do not buy or bring home any of these endemic animals captured in the wild. 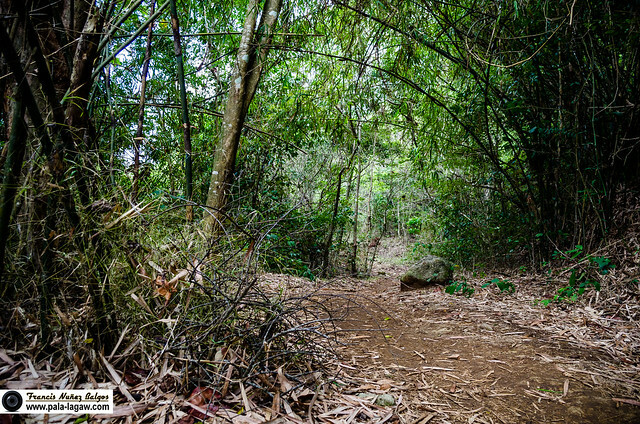 The trails before arriving in the camp site is thick with foliage of Bamboo, wear protective clothing like warmers for arms and legs. Bamboo leaves have rough surface; this is to avoid getting scratched. Mt Palay Palay summit is bare and steep grassland. Bring sun protection and umbrellas on a sunny day. On a rainy day, do not attempt to scale the Rock monolith. The rope and the pass are slippery when wet, the rock wall at the back is 90 degrees with only a room for one person at a time. Scaling the Rock Monolith is only for those confident in their physical prowess; if you have fear of heights, then do not dare climb Pico de Loro. Souvenir's available at the Rene Medina's place. 4:00 AM Meet up at Coastal Mall Bus Terminal bound to Maragondon Cavite. Note: you can leave as early as 4AM if you don’t have to wait for everyone. This itinerary was made for yuppie’s coming out from a night shift. 5:00 AM ETD Leave by Bus bound to Maragondon, Cavite. 6:30 AM ETA Arrival and breakfast for 30 minutes. Eateries are open in the tricycle terminal. 7:00 AM Hire a tricycle to take you to DENR Office for registration. 7:45 AM ETA DENR Office for Registration. Registration Fee (Php 25.00). 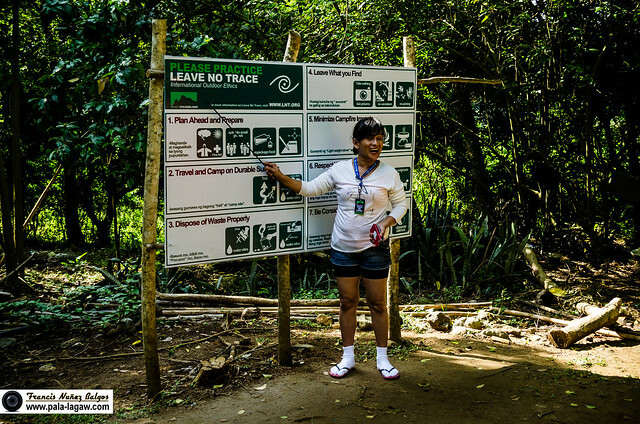 There’s also a lecture provided by DENR for LNT (Leave No Trace). This place also serves as Camp Site because due to its water source. 1:00 PM Start descent, backtrack to Magnetic Hill. 3:30 PM ETA Jump-off point, proceed to DENR and wash up. 4:30 PM Take tricycle back to Ternate then take bus back to Manila. or hire Tricycle to pass the Kaybiang Tunnel back to DENR Ternate for wash up. These are but the usual expenses to be prepared for. Fare can be shared from 3 up to 4 passengers. This is a fix fare, we tried to negotiate but nil. Php 25 2nd Registration fee in Rene Medina’s place. Php 81 Bus ticket fare to Coastal Mall, Pasay. Note: It was never explained to us why there are 2 registration fees. To be confirmed, I think this is due to us crossing provincial domains from Cavite to Batangas. Other mountains have Municipal domains; you pay a fee by just passing through Municipal Domains from one to another. Bathrooms are available in DENR Office for free. Bring pack lunch or buy from eateries in the tricycle terminals. Water bottles, Soda Drinks and Souvenirs are optional expenses. Guide fee for traverse are negotiable depending on the number of participants. Hamilo Coast as seen from the Summit of Mt Palay Palay. Having my photo taken while sitting atop a rock wall. The steep hurdle, Pico de Loro and the Nasugbu-Ternate Highway as a white streak in the landscape. 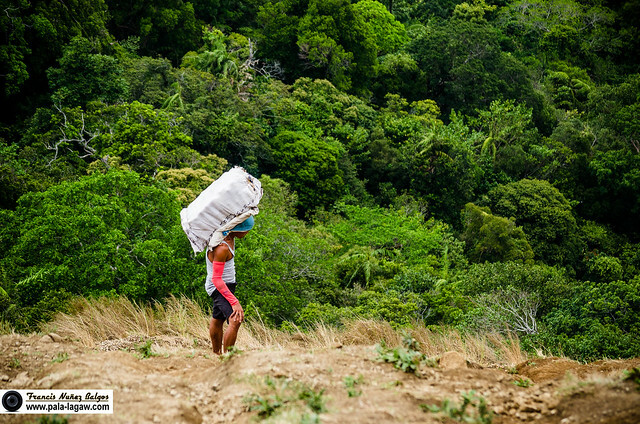 Locals from Nasugbu, hauling empty bottles of Soda Drinks. Camp 1, where a short BMC lecture is provided by LNT. 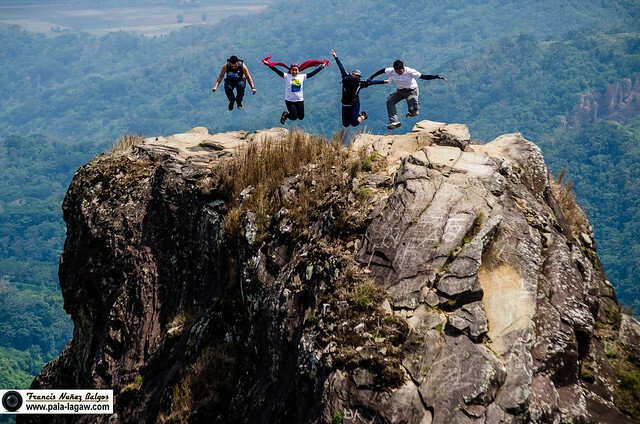 Half of the group I was hiking with, having their fun jump shot photo on top of the Monolith. The other half, patiently waiting for their turn to scale Pico de Loro. 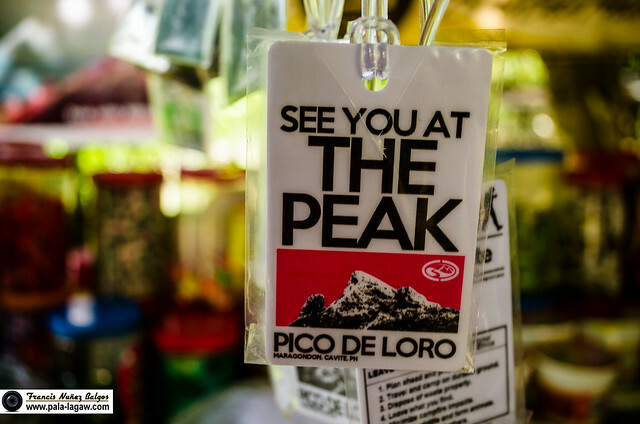 Pico de Loro is perhaps one of the few peaks that is at once accessible as it is scenic. There's nothing like that look out from that pointy outcrop with a view of Cavite/Batangas landscape. I am happy to go through this blog. Mt Palay Palay has breathtaking scenery. Last year my few friends visited it for hiking. They have captured wonderful views. After seeing your awesome pictures I am excited to go there after coming from mini circle island tour. Your information and instructions are very helpful for all tourists and especially for me. I am a huge fan of hiking. Two years ago I visited Mount Fuji with my college friends. Indeed it was a great experience for me and now I am hopeful for Pico de Loro tour. The Scenery is truly awesome..I have been to this beuatiful spot way back 2006.Am wondering if the old trail exists.I am into mountain biking and we plan to traverse through Batangas via the old trail.Hope someone can give some input. Hello, we went to the jump off point in Ternate. We were told that there's a new trail already. The old trail is now privately owned. hi how far is the new trail from Ternate jump off point? Hi Francis, did you have a guide when you went up to the summit? I'm planning to trek this mountain during my vacation next week in Manila. I plan to go up with my boyfriend but it will be our first time going there so I'm scared that we might get lost in the trail. We just live in Cavite so we plan to park our car in Ternate then hike up and just back track to Ternate again. I actually saw a trail tour that is being offered by Trailadventours but the things is, it is packaged with a transportation from/to Manila which we don't need. As much as possible, please avoid the package hike trips..
Because it means you'll be with hundreds other people.. 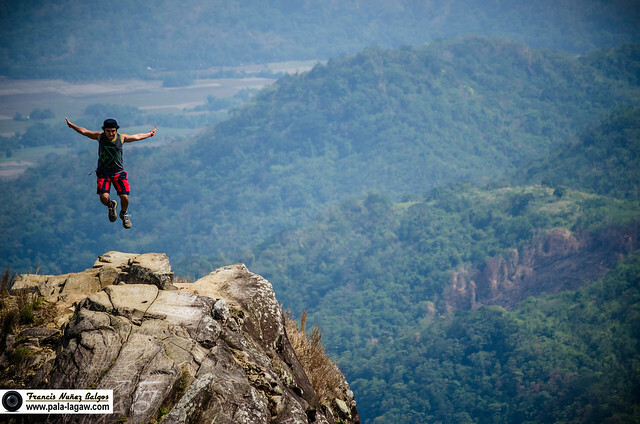 I was just there in Pico de Loro, 2 weekends ago, there was a mass hike of Graduating College students.. Crazy! It was frustrating as we can't be faster because of people milling about. The trail is easy to read untill the summit, there is really no need for a guide here. Hi sir.. Is it still open to the public? Do you have contact number sa Ternate DENR office? We are planning to hike on Saturday may nakapagsabi pong closed na daw, totoo po ba? Thank you! Hello Roxanne, the Mountain is still open for hiking.. there is just a new trail because the one being used before passes through a private property. Hi Francis, we are planning to hike to pico de loro. we will start at taft ave pasay. what is the bus and the destination that we suppose to tell to the conductor. at DENR Office you will need to pay an entrance fee about P20~40 pesos per person, and another P20 pesos as a toll in a private gate halfway. Bring extra cash. A well fit physical trained person can use 1~2 Liters per 6 hours. and a person who weights at least 50~80 kilo might use 2~4 liters per 6 hours. Anyone planning here to hike this mountain this week? I'm just a first timer and I don't have someone to go with me. Really want to hike Mt. Pico de Loro this summer. Anyone planning to go this April 19? Me and my friend would like to join your group. Hi Guys, I climbed this mountain a couple of months back.. So I dont have plans to do it again as of yet, I was told that there is a new trail. I'll site some reliable sources first before updating this blog post. 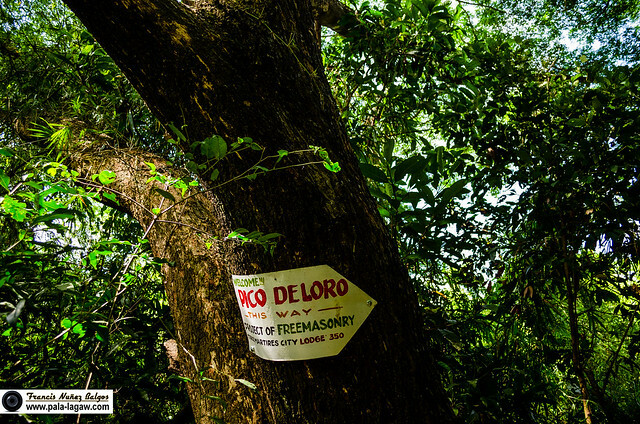 If you guys plan on creating an event for this, just go ahead..
Pico de Loro is an easy hike, and one of those that is easy to organise. Hi, can we leave our car at the DENR office while trkking the mountain? Hello, kung hindi po kayo natuloy kahapon... Can we do it on May 10.. My contact number is 09196009167.. Thanks a lot.. Which is a better trail? The Cavite jump off point or the Nasugbu? You are welcome to explore po..
For convenience, its the Cavite jump off.. It would be a deservice if you compare trails..
what is the best time to trek po? pwede po ba kong makijoin?? nagcclose po ba ang pico during these season. planning to climb on may 10. Hi Francis we just done with Mount Batulao last May 1. We are planning to go to Pico on Independence day..Thanks for the info your blog is very informative.. God bless! sir francis hellow.. this is megs.. ask ko lang po.. meron po ba tour guide na mkukuha dun.. apat lang po kasi kmi pupunta dun this coming thursday.. june 18.. thanks po.. sana mabasa nyo po..
You can inquire about guides in the DENR Station. Guides are not really required though as the trail is easy and straight forward. 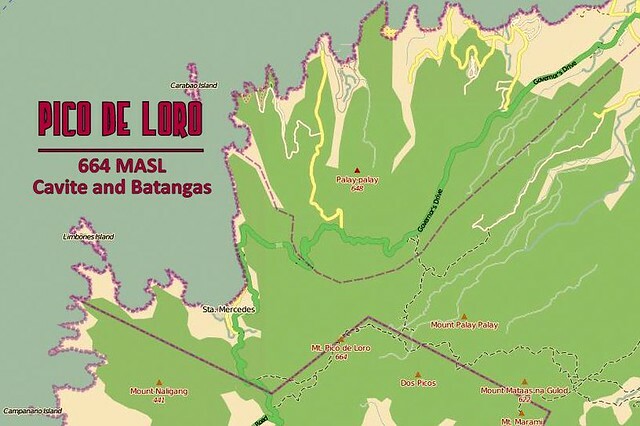 Pico de Loro has no off season for hiking.. Even on bad weather, its always the choice of the hikers to climb. Guide are not required but you can hire tghem if you needed to from the DENR office. Do they have CR at the camp site? Alam nyo po b contact number s denr? Open for hiking pa po ba yung Mt. Palay Palay?